Russian and Indian troops conducted an exercise operation to destroy contingent terrorists as part of the Indra-2015 international military drills in India’s state of Rajasthan, the press service of Russia’s Southern Military District said Wednesday. According to a descriptive statement, a hypothetical group of ten militants captured two residential buildings, the press release said. “Tactical task of Indian infantry units was to carry out a continuous clearing of the area with the simultaneous narrowing of the blocking ring, which allowed for the inspection of all [people] located in the area of operations,” the statement said. After watching the Indian team in action, the Russians displayed their approach in fighting terrorists. In order to achieve suddenness and efficiency for the operation, the Russian command blocked the perimeter, and sent in assault groups to seize certain facilities within the test grounds, according to the statement.Up to 250 Independent Russian Motorized Brigade troops arrived in India over the weekend to take part in the November 7-20 Indra-2015 exercises, focusing on “Counter-Terrorism Operations in Desert Terrain under a United Nations Mandate.” The same number of Indian Army Infantry Battalion soldiers are participating in the drills. The exercises are expected to move from the first “Combat Conditioning and Tactical Training” phase to the active “Validation” phase on Monday. Within the joint Russian-Indian counter-terrorist exercise Indra-2015, Indian servicemen have familiarized themselves with Russian small arms at the Makhajan range, where the camp of the participants is deployed. Trial shooting from pistols, Kalashnikov autorifles, AT and under-barrel mounted grenade launchers are planned. Servicemen of the Southern MD motorized rifle units, in their turn, got interested in the weapons of the mechanized infantry units of the Indian Armed Forces. Moreover, representatives of the Indian party familiarized them with the history and traditions of India and their military base. Tomorrow the Russian and Indian servicemen will show each other their counter-terrorist tactics. They will conduct a training operation on liberation of hostages from a settlement captured by terrorists. The Indian servicemen will act taking into account the experience gained during the operations in Sierra Leone, Sudan, Kongo. The Russian-Indian exercises Indra have been held since 2003. This year, the scenario of the exercise prescribes a United Nations-mandated counter-terrorist operation on the tactical level. NEW DELHI India successfully test-fired an unarmed Agni-IV intermediate range ballistic missile on Monday, local media reported. The missile was launched at 9.45 a.m. local time (04:15 GMT) from the Wheeler Island and landed in the Bay of Bengal. “Flight was successful and it met all the mission parameters,” a Defense Research and Development Organization official told The Hindu newspaper. 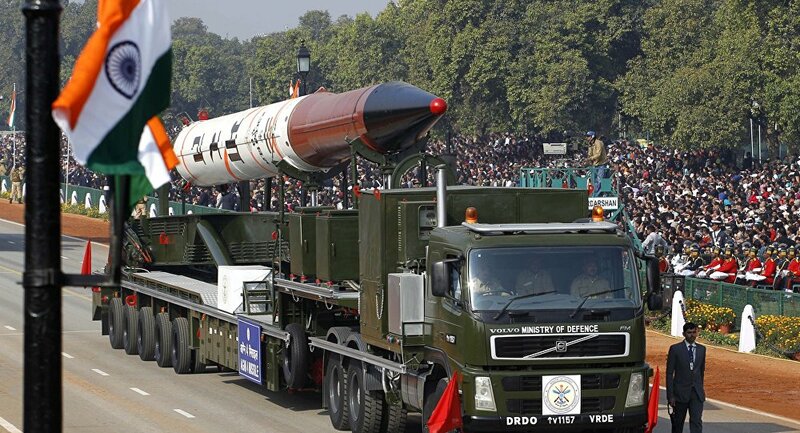 Agni-IV is a two-stage nuclear-warhead-capable intermediate-range ballistic missile equipped with advanced avionics. The missile has a maximum range of 2,500 miles and is capable of carrying a payload of approximately 2,200 pounds. India’s Major General (Retired) G D Bakshi said that Russia may provide India with unique, cutting-edge military technology, which no other country is able to deliver. Russia may provide India with unique, cutting-edge military technology, which no other country is able to deliver, India’s Major General (Retired) G D Bakshi told Sputnik on Saturday when commenting on joint drills that kicked off involving the two countries. “We have to put some deliberate efforts so as to improve our relationship with Russia. We have to understand that the technology which Russia is ready to give to India, like nuclear submarine, fifth generation fighter aircraft and cutting-edge technology, no other country is ready to give to us,” Bakshi said. The joint Indra-2015 military drills on countering international terrorism are taking place in India’s northern Mahajan firing range until November 20 with the focus on the so-called Counter-Terrorism Operations in Desert Terrain under a United Nations Mandate, according to the Indian Defense Ministry. Bakshi added that the main goal of the exercises is to boost army to army contacts and improve interoperability. India and Russia will hold joint Indra-2015 military exercises in India’s largest state Rajasthan on November 7-20. India and Russia will hold joint Indra-2015 military exercises in India’s largest state Rajasthan on November 7-20, the Indian Defense Ministry said Thursday. “A 250 member strong Russian Army contingent would arrive in Bikaner for INDRA-2015 for the joint exercise to be held with the Indian Army from 07 November to 20 November 2015,” the ministry said in a press release. The seventh joint Indra drills will take place in northern India’s Mahajan firing range. The exercises will focus on ‘Counter Terrorism Operations in Desert Terrain under a United Nations Mandate,’ the press release added. The drills are due to be conducted in two stages, namely “Combat Conditioning and Tactical Training” and “Validation,” according to the press release. Senior military officials from India and Russia are expected to observe the exercises. Russia and India have maintained close partnership in military and technical cooperation for decades. The two countries have been conducting joint military drills annually since 2003. Moscow and New Delhi positively asses work of the Indo-Russian supersonic BrahMos cruise missile and a fifth-generation fighter plane, the Russian Defense Ministry press service said Monday. 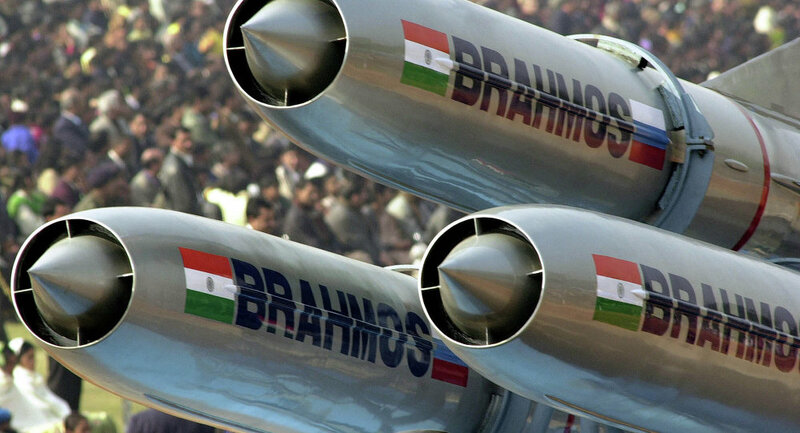 The BrahMos short-range supersonic missile, developed by Russia and India, has been in use by the Indian Navy since 2005. The missile has a range of 180 miles and can carry a conventional warhead of up to 660 pounds. “The sides positively assessed the progress of work on the design of a promising multifunctional fighter aircraft and a multi-purpose cargo aircraft, a licensed production of Su-30MKI fighters and T-90S tanks, the implementation of the program for the creation and production of BrahMos missiles…,” the press service said after the meeting of a Russian-Indian intergovernmental commission on military-technical cooperation. The sides also exchanged views on the current state and future prospects of Russian-Indian military cooperation.